Wow. When I first heard that Robbie Williams was releasing ANOTHER greatest hits album, covering 20 years of songs...I could barely believe that he had been singing for 20 years. But then I watched the above trailer for the hits compilation, titled In and Out of Consciousness - The Greatest Hits 1990 - 2010 and it all became very real. What a legacy! While Williams has had faltering chart success here in the U.S. over in Europe he's a pop legend, and rightfully so. 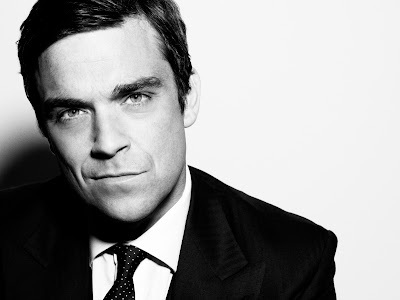 Robbie Williams has got it all. He's got the look...he's got the voice...he's got the moves (see the video for "Rock DJ"). I already have his last Greatest Hits album (2004's Greatest Hits) but I would consider purchasing this one as well. The new set, due out on CD and DVD October 12th will be preceded by new single "Shame" (co-penned by Gary Barlow) on October 5th. This comprehensive 2-CD compilation features 39 songs and is coming to you via Astralwerks Records. Williams has sold 57 million albums, 11 million singles and has amassed 7 number 1 albums in his native United Kingdom, becoming the biggest selling UK solo artist. Quite an honor! 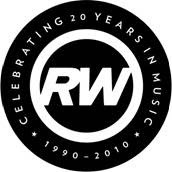 Says Williams in a Press Release - "It's incredible to listen to the album and realize that it's already been 20 years of making music and playing gigs. And the great thing about the album is that it's not only a celebration of my past, but also a bridge to the future." More on the final tracklisting when it becomes available! In the meantime, here's to you Robbie. Here's to 20 more years of hits. 'All The Lovers' Video Stills Released! Woohoo. New Kylie Minogue promotional photos are out! This time, we have some absolutely FABULOUS stills from her stunning new video for "All The Lovers." And while we're discussing Kylie Minogue, check out the terrific Aphrodite Megamix which Kylie premiered at her Splash appearance last week. Love it! Aphrodite is definitely one of my most anticipated releases this year. Thank you Pop In Stereo for taking the pain away. After watching that dreadful Vengaboys video I needed something to distract me and THANK GOD for this fantastic DJ Tonka remix video of Ellie Goulding's already fabulous "Guns and Horses." Goulding's CD is still one of my favorites of the year so far. Honestly, I also couldn't bear to leave a post with the word "Uranus" as the last post for ANY period of time. Oh God no! The Vengaboys are back with their first single since 2001's "Forever As One" and it's just as bad as you might expect it to be. Rocket ship Phalluses, cowboy hats, Perez Hilton's face...NIGHTMARE! The video features Perez Hilton in a starring role, which definitely adds to this video being the gayest thing I have ever seen. Oh...and it's also available in 3D. I don't think I could take watching this again in 2D much less in 3D.